Bank regulators finally announced the details of a settlement with the biggest banks over foreclosure abuses. Most borrowers will receive $500 or less. And the details are confusing. 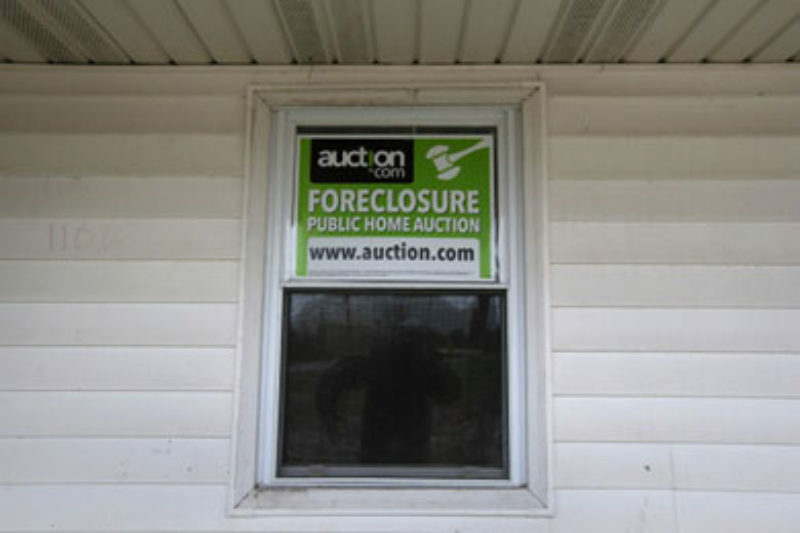 The government’s largest effort to compensate victims of the banks’ foreclosure practices is finally sputtering to an end. But for most of those eligible – nearly three million borrowers – it won’t be much of an ending: they’ll be receiving a check for $300 to $500. Regulators are dividing $3.6 billion in payments among 3.9 million homeowners. 2.4 million homeowners are receiving $300. For many borrowers, it’s a likely an unsatisfying end to a process defined by years of frustration. If you were a homeowner in danger of losing your home at the height of the foreclosure crisis, chances are you soon discovered that your bank’s mortgage servicing division was a mess. They were hard to reach, gave you misinformation, lost your documents, and generally screwed things up. In some cases, homeowners were even foreclosed on by mistake. In 2011, federal bank regulators announced a process to right these wrongs. The Independent Foreclosure Review had a simple aim. If a borrower had suffered “financial injury” (the emotional toll would not be considered), then the review would make it right. Compensation payments would range as high as $125,000. But for borrowers, it was yet another descent into confusion. Just as so many had waited months and often years for an answer from their servicer, homeowners sent in a pile of documents and watched and waited as 2011 turned into 2012 and then 2013. The review process ended with a whimper early this year. The process was such a mess, regulators announced, that they’d decided it was better to call it quits. No more trying to determine each borrower’s “financial injury.” The banks would just cut a check for millions of homeowners who had been in foreclosure, regardless of whether they were wronged. But even this solution had its complications. Not all borrowers would get the same amount. Instead, regulators said they would break the four million borrowers into various categories. But regulators didn’t announce what the different categories would be or how much borrowers might be receiving. Borrowers would just have to wait a little bit longer. On Tuesday, three months later, the regulators, the Office of the Comptroller of the Currency and the Federal Reserve, finally released a breakdown of the categories. All four million homeowners will fit into one of the categories below. Within categories, payments range due to whether the borrower filed a complaint and/or the foreclosure was completed by the end of 2011 (we show those ranges in parentheses). Most borrowers will receive little. To be eligible, a borrower must have been in some stage of the foreclosure process at any time in 2009 or 2010 and had their loan handled by one of the major banks covered by the agreement. That’s about four million borrowers. Most of them, about 2.4 million, will receive $300. Borrowers who took the time to fill out a complaint about their bank receive a small bonus for their efforts: Most of them will get $500 or $600. Only about 11 percent of eligible borrowers filled out complaints, a low response rate both consumer advocates and the Government Accountability Office attributed to borrower confusion and poor outreach by regulators and the banks. Typical of the subpar communication regulators and banks have had with homeowners, it will be hard for homeowners to divine why they were put into a certain category. Many borrowers facing foreclosure dealt with their servicer over months or years, and the errors were legion. Borrowers will likely argue they could be put in several of the regulators’ categories. It was common, for instance, for borrowers to be rejected over and over again for a modification before receiving one. Does that mean such a borrower will be receive a payment based on the denials or the approval? OCC officials have said that borrowers who fit in multiple categories will receive a payment based on whichever category brings the highest payment. It’s also hard to understand some of the differences in payments. In some instances, homeowners who ultimately lost their home are compensated the same as those who did not. In other cases, they reap far more. At least 1.6 million, or 41 percent of the total pool of homeowners, ended up losing their homes. The data is based on information as of the end of 2011, so the actual number is likely higher, because it doesn’t account for foreclosures in 2012. Another example of the confusion: The categories are broken down into types of “possible servicer error,” but all possible servicer errors are not created equal in regulators’ eyes. For instance, a borrower who was denied a loan modification and lost her home to foreclosure (a pool of about 370,000 borrowers) will receive $3,000 or $6,000, depending on whether she submitted a complaint. But in cases where the borrower applied for a modification, and the servicer never made a decision and then foreclosed (196,000 borrowers), the payment could range from $400 to $800. If the servicer never even began the modification process and foreclosed (568,000 borrowers), the payment ranges from $300 to $600. Asked for the rationale behind these decisions, an OCC official explained that regulators deemed the potential for error higher in cases where the servicer actually denied a request. It’s possible, for instance, that a servicer never made a decision because the borrower did not send in the proper documents. Or maybe the borrower never responded to the servicer’s solicitations. Borrowers waiting for their checks can only hope they suffered the right sort of servicer error. Regulators say the first checks will be sent to borrowers at the end of this week, and that almost all payments will have been sent out by the end of April. Meanwhile, homeowners, let us know what you get in the mail and whether you think you’re in the right category.